Hold up! 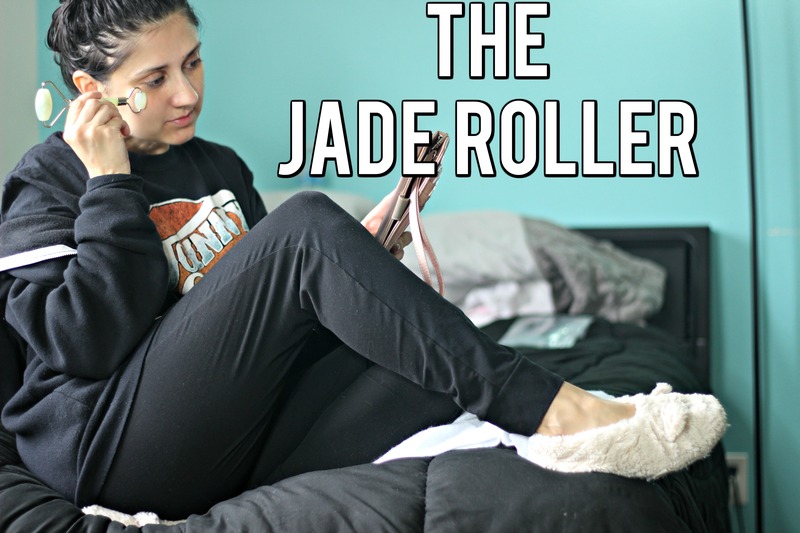 What is a Jade Roller!? okay okay…very understandable to ask this because I was always wondering the same thing! I do know that “Jade” is a green stone and it has been said that this stone can decrease puffiness and under-eye circles. (Hi, my name is Cristeen and I would like to de-puff my face and have it look like I did an amazing contouring job minus the bronzer! haha) It’s also supposed to diminish your wrinkles/fine lines. I like to keep mine in the fridge. I heard freezer works as well , but the fridge keeps it pretty chill and easy to glide on. To me the ends look like green grapes. Right? Or is it just me lol. Probably just meeee…. Honestly, it’s not hard to use at all. There are so many blog post and videos out there that tell you or show you how to use it. I seriously love the way it feels the way I do it. I found a chart on pinterest that shows which directions work best as well. Good Ol’ Pinterest! Anyways, I like to use the bigger roller with my Lotus Youth preserve cream by Fresh and a majority of the time I use the large roller with Pixi Milky Serum (AMAZING) all over, and for my eyes I use the smaller end of the roller and I love the itcosmetics bye bye anti aging undereye cream! The smaller roller and this under eye cream feel so smooth and relaxing when applying. I also keep this cream in the refrigerator as I do most my eye creams. The cooling sensation feels amazing! So I use this under my eye obviously and on the sides where my crows feet are hehe and on my lid up to my brow bone. Pixi hydrating milky serum is super moisturizing and I apply drops right onto the large roller. I use this anytime I have clean skin and want to have that serum actually soak into my face. It’s so calming and relaxes my muscles. I don’t think I have used it long enough to see real results on the slimming my face down and diminishing the wrinkles a lot but I can say it does help instantly de puff my eyes and its super relaxing for anyone who needs to just calm the heck down! I do recommend it and will probably be buying one for my mom because I know for sure she would love this little handy tool. Have you used a jade roller and what do you think about it?